Have a Choice between a Hotel Mestre or Lido? A cheap Hotel Mestre or Lido? Staying in a hotel nearby Venice Italy is ideal, but there are also some disadvances. 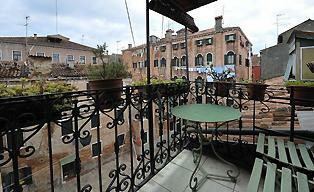 I will tell you more about these locations outside the historic center of Venice. Your Hotel in Mestre or on the island Lido? First, it is good to know that Mestre is the city where you can quickly catch the train or bus to Venice, just 15 minutes. And Lido is the island where you can reach the heart of Venice by a vaporetto boat within minutes. 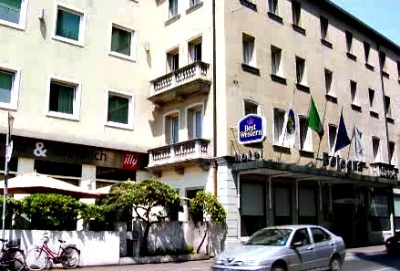 The hotel that I recommend regarding price/quality is Hotel Byron on Lido. But you can feel free to take another hotel that is available on the island. From Hotel Byron you walk in 10 minutes to the vaporetto stop to go to Venice (15 minutes with the vaporetto boat). It is good to buy a tourist travel card for a few days when you stay on Lido. 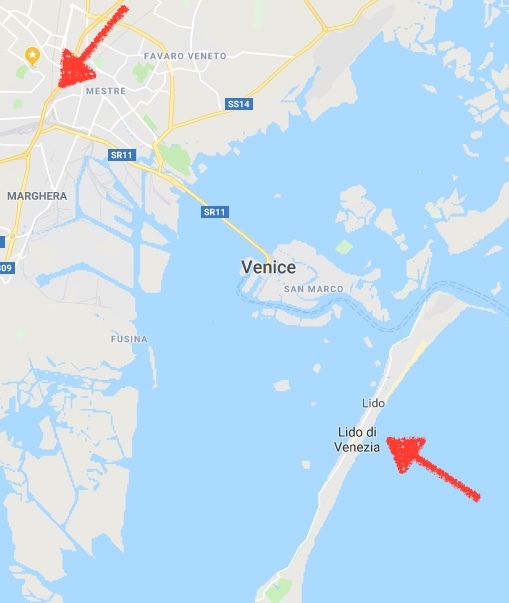 You can travel unlimited between Venice and Lido by vaporetto boat, but also in the rest of the lagoon, this card is valid. One major drawback with a hotel on Lido is that the transport from the airport to Lido is complicated and lengthy in duration... But as you read on this website, there are plenty of alternatives. And transportation from and to Marco Polo Airport is comfortable with the Alilaguna boat. You have to take the red or the blue line. ...Which Location is Cheaper; a Hotel Mestre or Lido? A hotel in the town of Mestre is convenient if you have booked a hotel near the railway station of Mestre. To reach Venice the fastest and most accessible way is by train or bus. The train is cheap and good. But the hotels at the station in Mestre are quite expensive. If your hotel is not within walking distance of the train station, you need a local bus or a private hotel shuttle bus to Venice that often costs money. Your hotel in Mestre doesn’t have the peaceful setting as it is on the island of Lido. Mestre has a city environment and hotels are sometimes nearby industrial places. Lido has cheaper hotels, but it can be uncomfortable when you travel from Airport to Lido. 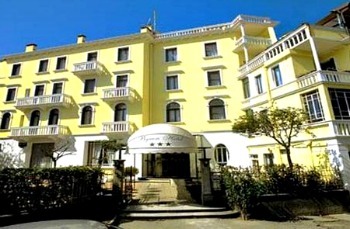 Mestre is convenient when your hotel is near the trainstation, but the hotel rates are higher. Mestre also has cheaper hotels in the outskirts of Mestre or Marghera. But, you have to transport by bus or a shuttle bus. Take pictures in deserted alleys and posing on bridges, and maybe a gondola ride. Visit on a non-busy time the Basilica San Marco and the Doge's Palace. If you have time visit the islands of Murano, Burano, and Torcello. You read about a hotel on Lido or in Mestre. There is plenty to explore. Read my site about Venice and get more information about this beautiful Italian city.